Michelle Mueller, President, and Derek Zancler, Customer Service Specialist, Becker's Bridal, talk about how they are the oldest bridal shop in the country and how they continue to grow their business. For more information, please visit www.beckersbridal.com or by calling 989-593-2595. WSYM —Michelle Mueller, President, and Derek Zancler, Customer Service Specialist, Becker's Bridal, talk about how they are the oldest bridal shop in the country and how they continue to grow their business. 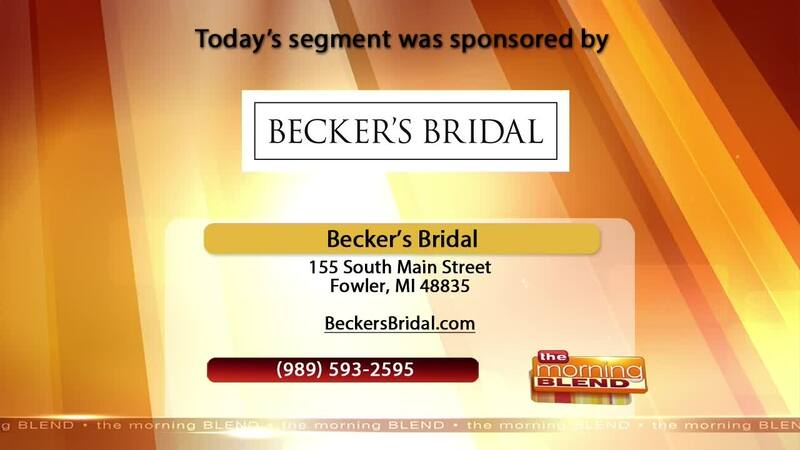 For more information, please visit www.beckersbridal.com or by calling 989-593-2595.